The World Long Drive Championship concluded this week at WinStar and it was more exciting than ever. 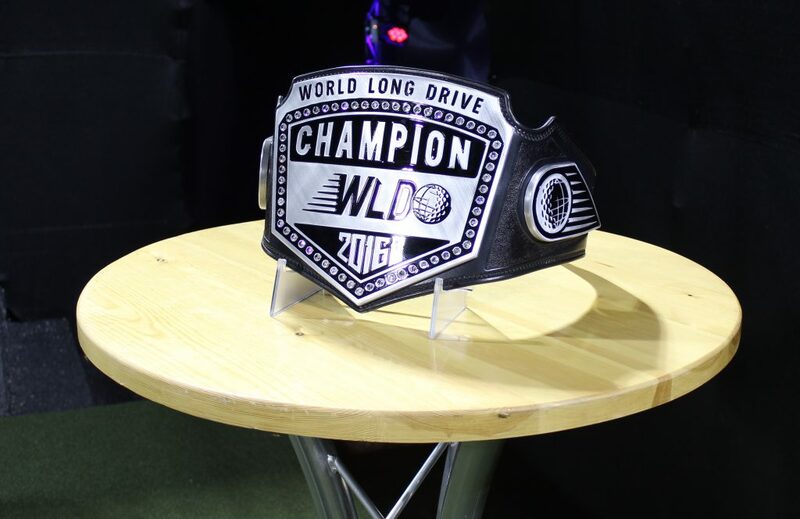 In case you missed it, here’s a recap with everything you need to know about the 2016 World Long Drive Championship. If you’ve never seen the World Long Drive Championship in action, it is so impressive! The competitors have just three minutes to drive eight balls as far as they can and land them within the grid. The marked field they drive on is more than 450 yards long and 50 yards wide, and it is lit up with stadium lights – picture a gigantic football field! The competitors swing at more than 150 mph and the balls zip through the air at 220 mph. The final nights of the competition were nothing short of incredible. 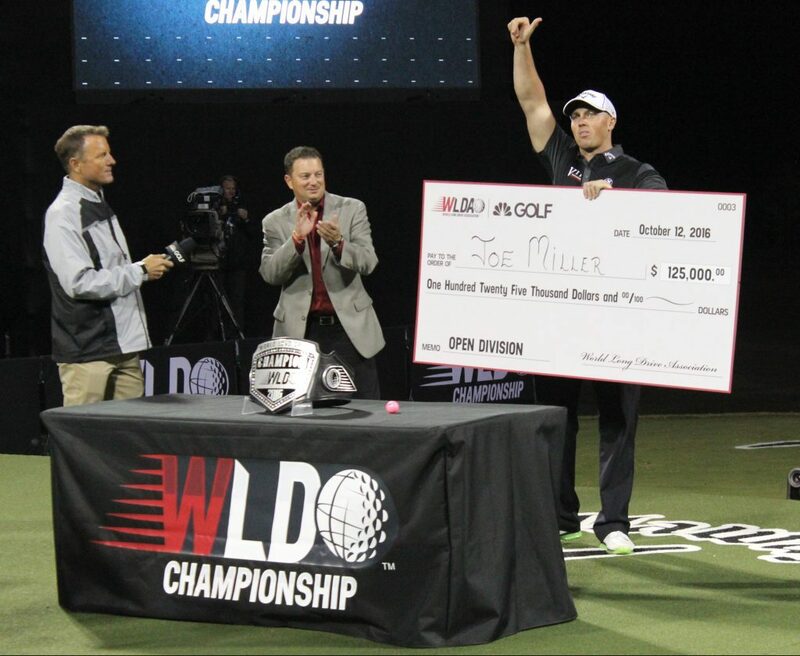 They were televised live on the Golf Channel, a crowd filled the stands cheering on the long drivers and the champion was awarded $125,000 and a wrestling-style belt that was custom-designed by Orange County Choppers. The competition was stiff this year and there was no shortage of upsets. Last year’s champion, Tim Burke, was the no. 2 seed, and Will Hogue, a long drive veteran, was ranked no. 1 going into the competition. Both were eliminated in the Round of 16. Ryan Steenberg, a WLDC rookie and former college football player, finished in second place and was an unexpected competitor in the finals. He was the no. 29 seed coming into the WLDC. Pretty impressive, Ryan! This year’s open division champion was Joe Miller from London, England, with a winning drive of 423 yards. He is not new to the World Long Drive Championship scene. In fact, he won the tournament in 2010 and he returned to Oklahoma this year to take back the title of World Champion. Incredibly, his 423 yard winning hit wasn’t his longest drive of the competition. In his semifinal round, he drove for an amazing 439 yards.